RF-7 II review and competitors? Very good for the Klipsch subwoofer reputation but I am very surprised that the PB13U(1st or 2nd generation) is falling a little short in the punch department. My SB13 Plus is all about punch an tightness. Bill I was surprised as well that the Klipsch was so much louder and more punchy. I haven't verified but I suspect the PB-13 will be much louder below 20HZ. 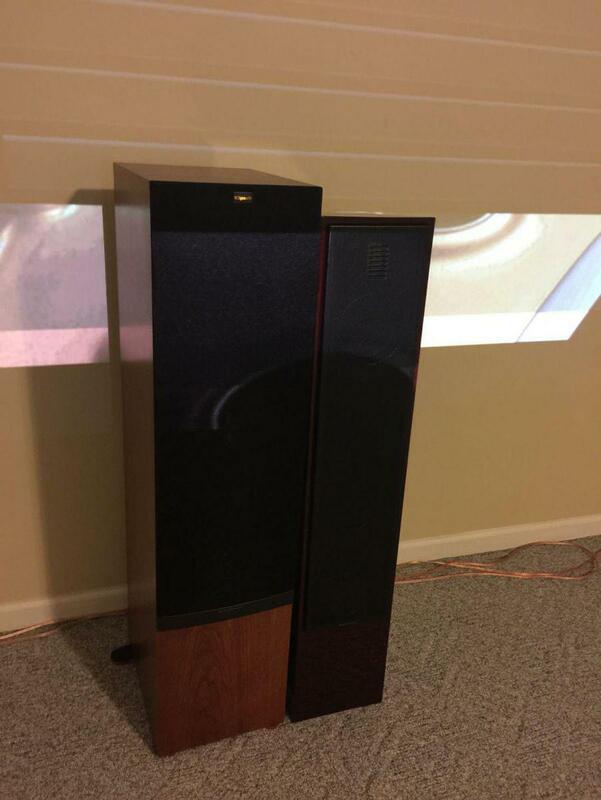 The Klipsch is so powerful it slides across the floor when it fires! Perhaps I'll take a chance and order another one. I think it's a compelling value "if" it works. Still sad about this . Hi, I posted in the general subwoofer category. There's still not a single response over there. This is really a great community and forum. Please give me a recommendation for a fabulous subwoofer. I have a PB-13 and it's nice but I don't get the punch and tightness I get from the Klipsch subs. I do hope I can get the hum fixed and keep this sub but if not I'll have to try something else. Thanks again everyone. Prem. Since I woke up to texts about this thread I am testing a couple of these out. I will say they will hum like a sumofabich if I have the wires connected to the sub but not the receiver and I'm sitting there holding the ends of the rca cables. I'm assuming you are doing this but I'm not sure. If I plug them in like you're supposed to they are totally silent. Using the wireless port is also complete silence. If that's not the case, I would try a different RCA cable. Simply plugging an RCA cable in should not be completing any circuits but if the wire was pinched it could very well do that. Somebody on this forum had that exact same problem a month or two ago. Swapped cables and they were fine. The only way plugging in an RCA cable into the sub is going to induce a hum is if you're completing a circuit or picking up interference like a magnetic field or some other source. Hi and thank you for your help. I do get hum when the subwoofer rca cable is connected to the receiver and the subwoofer. I also get hum if the rca cable is just connected to the subwoofer and not the receiver. I can make it hum louder by twisting the rca cable various ways when its not connected to the receiver. The only time there is no hum is when the sub is on and there is no cable connected to it. Once a cable is connected I get hum . I tried a different subwoofer cable and the sub still hummed. The SVS I have does not hum at all with the same subwoofer rca cable. I really like the Klipsch sub and I hope I can fix the hum issue. Thank you again for all your help. I bought mine brand new as well. How do I check the LFE and ground connections once I disconnect the amp? Thanks. Hi everyone, Thank you for your help. I'll check the connections and look into the ground loop isolator. I'll post back shortly. Thanks again, Prem.